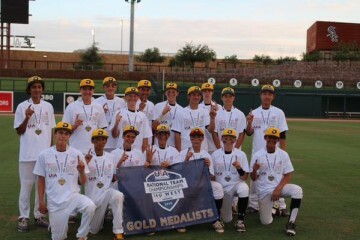 BPA DeMarini beat Zoots Baseball 15-5 in six innings on Friday at Camelback Stadium after a nine-run explosion in the sixth inning. BPA DeMarini scored in the sixth on an RBI double by Hunter Cranton, a two-run double by Brooks Lee, a two-run single by Jared Jones, a two-run single by Jones, an RBI single by Ricky Teel, an RBI single by Cooper Benson, a two-run single by Joshua Hahn, and a two-run single by Joshua Hahn. The game was back-and-forth heading into the fourth, with seven lead changes. BPA DeMarini took the lead in the fourth inning and held on for the victory. BPA DeMarini scored on an RBI single by Lee off Jarred Mazzaferro, plating Benson. An RBI single by Lee scored Benson to give BPA DeMarini the lead for good. Cranton was solid at the plate for BPA DeMarini. Cranton went 3-4, drove in one and scored three runs. 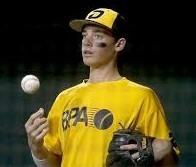 Jones got the win in relief for BPA DeMarini. Jones pitched 3 2/3 innings and allowed no runs. BPA DeMarini easily handled Zoots Baseball pitching as seven hitters combined for 15 hits, nine RBIs and 12 runs scored. Mazzaferro couldn’t get it done on the bump for Zoots Baseball, taking a loss. He allowed seven runs in 5 1/3 innings, walked three and struck out one. Hagen Danner still has the recording in his DVR, the one of the 2011 Little League World Series game that introduced him to the world. That day in Williamsport, Pa., in front of a national TV audience and 31,000 fans, mostly rooting for the opponent from Pennsylvania, Danner struck out 12 in 5 2/3 scoreless innings and hit a home run, leading his Huntington Beach Little League team to victory. That team would go on to win the Little League World Series title, beating Japan in the championship game. Danner said he watched the recording again a couple of months ago. But there are bigger steps, according to his father. “He realizes that they were all 12 years old on a small field,” Scott Danner said. “The game has sped up and is much larger, and the talent is much greater. He gets all that. A 6-foot-2, 190-pound right-hander, Danner is versatile enough to play multiple positions, although his future is likely at pitcher. He is also among 108 of the nation’s best high school baseball players invited to the USA Baseball National Training Complex in Cary, N.C., to participate in the 2015 Tournament of Stars from June 22 to 28. The tournament is a step in the selection process for the USA Baseball 18U National Team, which will play in the 2015 WBSC 18U World Cup in Osaka, Japan, starting in late August. That day in Williamsport was big, but not nearly the biggest Danner has enjoyed. He has been committed to UCLA since before his freshman year of high school. And this year alone there was a successful trip to the USA Baseball National High School Invitational with his Huntington Beach High team, a Division I title in Southern California and Sunset League pitcher of the year honors as a sophomore. The chance to make the 18U National Team is just the latest. “It means pretty much the whole summer,” Danner said. “I’ve been looking forward to it a lot, and it’s like a dream. But when he was 12, Williamsport was the biggest stage with most of the crowd cheering against his team. “There was just this little yellow fish in the stands cheering for the West team,” Danner said. That pressure-is-fun outlook serves Danner well. He is at his best in big games and big situations, and his versatility could be an asset for Team USA. But all of that is trumped by his talent on the mound. “He’s 95 as a sophomore, and it’s an easy 95,” Sandler said. “He has great spin on the baseball, and the power breaking ball. He has the best curveball in our area for any age, and he has a plus changeup. He’s really complete. In all the best ways, though, Danner is still a kid. He’s serious on the mound and in his training, but he also enjoys the beach, playing disc golf, soccer and basketball with friends, and just hanging out. That, Sandler said, is a tribute to Danner and his family. “Some kids, they maybe believe their own hype, and think they’re something bigger than they are,” Sandler said. “But Hagen is like, hey, this is cool, I’m a really good baseball player but I’m Hagen Danner, I’m a 16-year-old kid. “The family doesn’t treat him differently or treat others differently, and he doesn’t do that either. But he knows when to turn it on. In Cary, the opportunity goes further. He’ll also look at the pressure as part of the fun. Although he’s an accomplished hitter and can play multiple positions, he says he’ll eventually be fine with being only a pitcher. He committed to UCLA as a catcher, but when they saw him pitch as a freshman in high school, the Bruins said they’d work with him. Danner’s future is on the mound, Sandler said. And it’s coming quickly. Danner said he’s not thinking much about the 2017 draft at the moment. He’s not stuck in the past, either. In Cary, he’ll find out if the path includes USA Baseball’s 18U National Team. For news and stories from the Tournament of Stars, follow Mike Persinger on Twitter, @mikep_TOS.